I’m a firm believer in Indie bands that make it big. But I’m also not blind to the fact that once in the spotlight, Indie bands often reject the diversity and uniqueness of their own “indie-ness” for whatever worked for them to get them to the top. I think it’s possible that Snow Patrol is approaching that point. They have found what works, and now they’re starting to hit the “copy” button. Is A Hundred Million Suns good? Yes. No doubt about it. At times, it’s catchy and energetic. It has a great sound, and the usual Snow Patrol base lines and guitar riffs. Is it new, unique, original? Not so much. If you like Eyes Open’s catchy radio-tunes like Chasing Cars and Hands Open, you’ll like this one. But the more I hear, the more I think: once you’ve heard one Snow Patrol song, you’ve probably heard them all. It’s the thing I hate most about U2. Every song sounds the same. I will say this, though. Some songs are a complete departure from the Snow Patrol sound. “Lifeboats” and “The Golden Floor” have a distinct Iron & Wine flavor to them, though I doubt they will get much recognition from listeners or critics, and they’ll probably be written off as boring. “Lightning Strikes” is a moving piece with rich, whirling piano, horns, voice melodies and guitar riffs that make the song both deep and diverse. 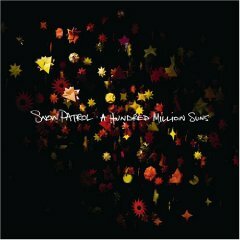 It’s probably one of the best things I’ve heard from Snow Patrol in a long time, and it’s stashed at the end of the CD.